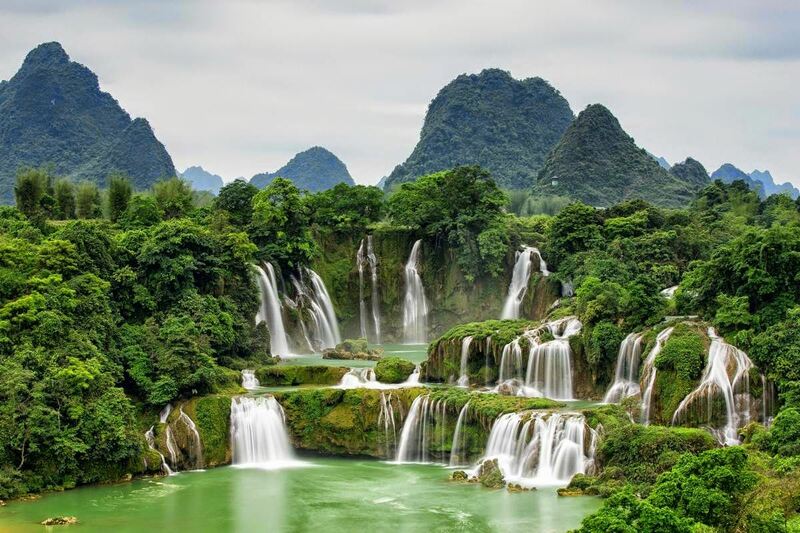 Tour Route: Hanoi – Nghia Lo – Mu Cang Chai – Than Uyen – Muong Khuong – Bac Ha – Hoang Su Phi – Bac Quang – Ha Giang – Pho Bang – Dong Van – Meo Vac – Cao Bang – Ban Gioc Waterfall – Ba Be National Park – Ba Be Lake – Hanoi. Spirit of Mountain Vietnam Adventure Expedition – 8 Days/ 7 Nights offer you the chance to explore the most isolated but also very beautiful areas to the far Northern of Vietnam where you can see lots of different hill tribe villages and ethnic minorities. You will enjoy the beautiful drive in great scenery in the whole trip, authentic ethnic markets at regions, the terrace rice field in Mu Cang Chai and Hoang Su Phi that have been recognized as national heritage of Vietnam, rocky plateau Ha Giang, charming border town of Pho Bang, breathtaking pass of Ma Pi Leng, Dong Van and MeoVac town, beautiful Ban Gioc waterfall and Nguom Ngao Grotto. Peaceful boat trip in Ba Be Lake and home stay in house on stilts of Tay people in Pac Ngoi village. Day 8: Ba Be Lake – Hanoi (~245 km, ~ 6 hrs). Departing from your hotel in Hanoi, drive towards Nghia Lo town on 32 highways, this journey passes through stunning mountainous landscape, featuring with fertile hilly area covered with green tea plantations, green mountains. Along the way you can see the forests cover high mountains. Spending about 4 hours walking through a narrow and long valley, we meet several hill tribes setting their villages in different ways which reveal their traditional customs and living style: The Thai occupy the low land almost at valley foot, near the streams from which they build up water wheels for transfer water to the rice terraces on which they farm wet rice intensively. The H’mong settle at the highest elevation, grow corn and dry rice on the burn-over land and the Dzao lives in the middle practice both methods of farming and it is easily to realize that they learn a lot of farming technique from the Thai ethnic minority. 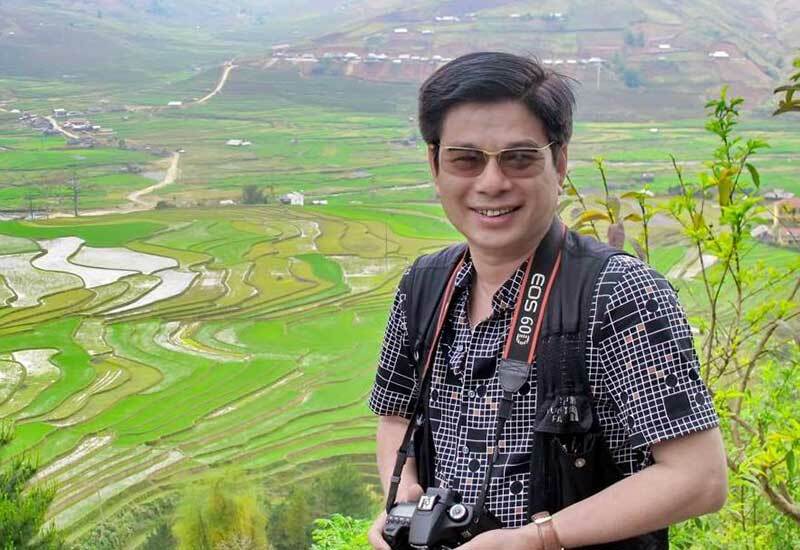 Arriving in Nghia Lo town, a pretty mountainous town, we spend the remaining hours of the day wandering the town including the market area; we will check in hotel, take a rest and rolling around the town before drawn. Dinner and overnight in Nghia Lo. 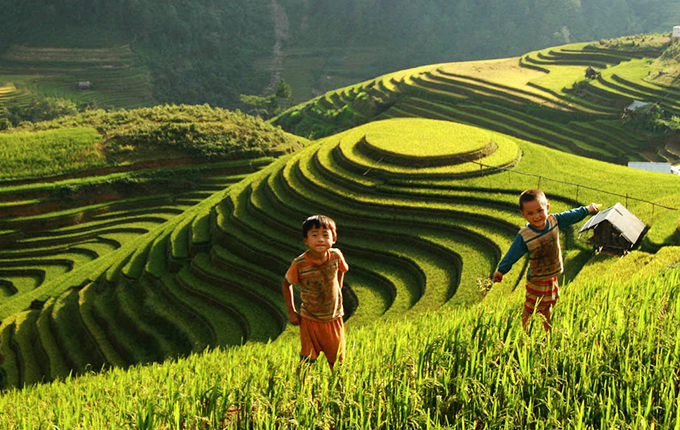 Photography Opportunities: Sunrise and sunset at the rice terraces, hill-tribe villages (Thai, Dao Đỏ – Red Dzao, Dao Quần Chẹt – Tight trouser Dzao, Dao Quần Trắng – White-trouser Dzao, Dao Làn Tuyển – Indigo Dzao). After breakfast at Nghia Lo town, we will be transferred from Nghia Lo to Tu Le. The road ride takes about 2 hours, we will have lots of time to exploring around the area for real mountainous life of the local ethnic minorities. 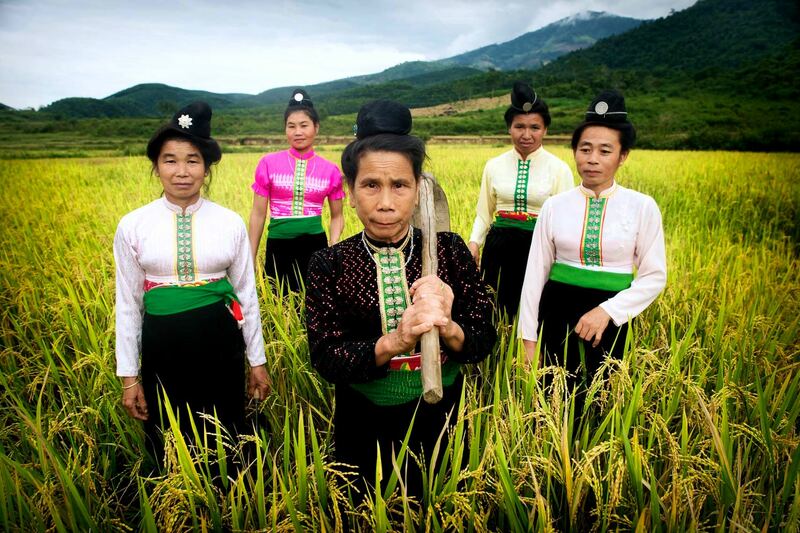 Fancy a four hour trekking along a trail which connect villages to villages, meeting different ethnic minorities such as White Thai, Black Dzao, Red H’mong…who seems very surprise, they are willing to inviting you to their homes in which you will be hosted with tea or homemade wine. Our next destination would be Mu Cang Chai, we will enjoy another home staying in a Thai ethnic village, which offers fantastic hours for your culture discovery. Upon our arrival Mu Cang Chai town, we will check in our homestay. Dinner and overnight in Mu Cang Chai. Photography Opportunities: Sunrise and sunset at the rice terraces, hill-tribe villages (Thai, Dao Đỏ – Red Dzao, Black Dzao ( Dao Đen), Dzao coin (Dzao Tiền), Dao Quần Chẹt – Tight trouser Dzao, Dao Quần Trắng – White-trouser Dzao, Dao Làn Tuyển – Indigo Dzao, Blue Hmong, Red Hmong, Purple Hmong). In the morning, after breakfast at our homestay, we will take 4.5 hours drive forward from Than Uyen to Bac Ha – very authentic weekend market in the North West of Vietnam. On Sunday, thousands people of different hill tribe came here for selling and buying thing, but the most important meaning of people going to the market is for socializing, meeting friends or just having some good food. Overnight in Bac Ha Town. Photography Opportunities: Sunrise and sunset at the rice terraces, hill-tribe villages (Thai, Dao Đỏ – Red Dzao, Black Dzao ( Dao Đen), Dzao coin (Dzao Tiền, Dao Làn Tuyển – Indigo Dzao, Black Hmong, Flower Hmong, White Hmong, Dzay). 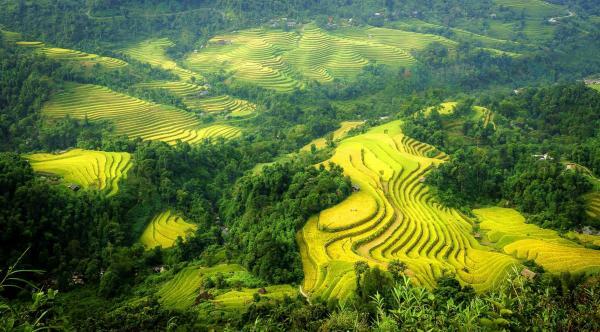 In this morning, you will take an off road but very interesting drive from Bac Ha to Xin Man. The road is bumpy but the scenery is outstanding. You will hardly see another traveler on this road. 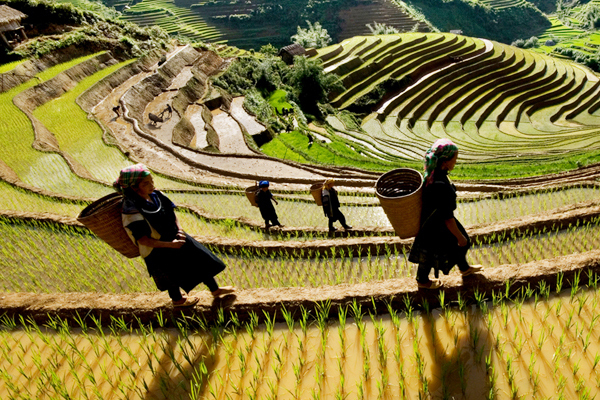 From Xin Man, we will drive forward to Hoang Su Phi, where you will have another chance to admire one of the greatest terrace rice fields in Northern Vietnam. For about 50 kms, you will see the terrace rice field surrounded by the road that will be hundreds of photo opportunities waiting for you there. Arrive to Ha Giang in the late afternoon. Photography Opportunities: Sunrise and sunset at the rice terraces, hill-tribe villages, Ethnic market (Bac Ha Market/ Can Cau Ethnic market), ethnic minorities groups (Red Dzao, White Hmong Flower Hmong, Phu La, Black Dao, Tay and Nung). This morning we have an option to take early drive to visit Nong lake. Located about 20 kms from the town, this lake was describes as the beautiful eye of mountain area in Ha Giang. After rafting on the lake for great picture of water and tree on the lake we will drive back to Ha Giang for breakfast before driving to Quan Ba Heaven Gate, where you can stop for the great pictures of impressive twin mountain there. 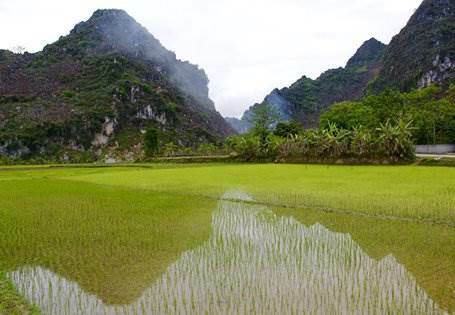 Keep driving to Yen Minh with spectacular scenery along the way. Lunch at Yen Minh then driving to Pho Bang, the charming town of Vietnamese and Chinese people located right on the border between Vietnam and China. The town still remains the great character with very hospitable people. Then visit the impressive house of Mong King before driving to Dong Van, where we will see our most unique stone plateau. Afternoon you can take a walk to the old street of Dong Van, where you still can find hundred year old house made from clay that hospitable local people still living there. It could be one of memorable moment on this trip. Overnight in Dong Van. Photography Opportunities: Sunrise and sunset at the Nong Lake and rice terraces, Mong King Palace, hill-tribe villages, Ethnic market (Dong Van Ethnic Market), and ethnic minorities groups (Pu Peo, Lolo, Dzay, Nung, Tay, White Hmong, Blue Hmong, Green Hmong…). On this day, we can visit Dong Van Market before driving to Meo Vac known as the cradle of the Blue Hâ€™mong & Lo Lo, who are mainly living on the hill-sides and working on terraces. One of the highlight for the trip today is great drive to conquer Ma Pi Leng, the breathtaking pass with great scenery can be viewed from the top of the pass. 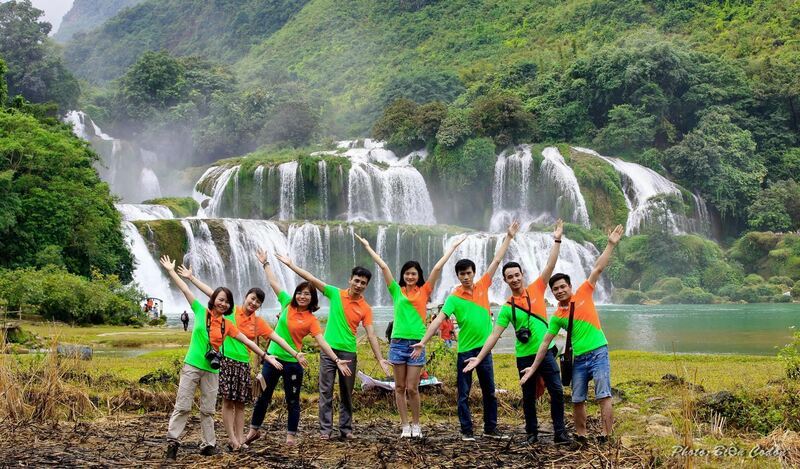 After visit Meo Vac, we will leave to Cao Bang along the beautiful plateau with great rock formation. Take the impressive drive on the new road from Meo Vac to Bao Lac along Nho Que River. Arrive to Cao Bang in the late afternoon. Photography Opportunities: Sunrise and sunset at rice terraces, Rocky Plateau, hill-tribe villages, Ethnic market (Dong Van Ethnic Market/Meo Vac Market) often open on Sunday, and ethnic minorities groups (Pu Peo, Lolo, Dzay, Nung, Tay, White Hmong, Blue Hmong, Green Hmong…). We will start our trip early today to Ban Gioc waterfall, the most tranquil waterfall in Vietnam via the scenic pass of Ma Phuc. Arrive to Ban Gioc before it will be crowded by the other tourists. 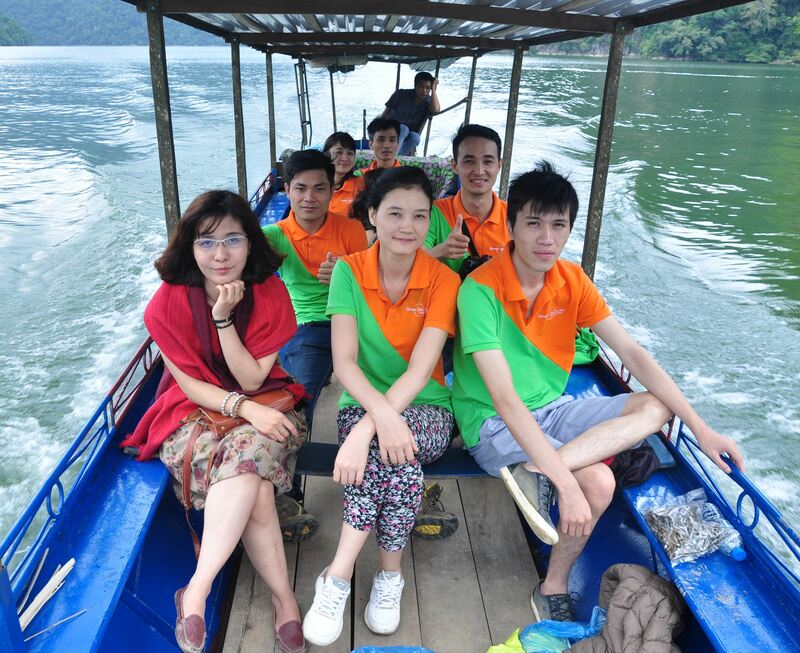 After having great time to visit and taking picture at Ban Gioc, transfer to NguomNgao Grotto. Take a short trek to Visit Nguom Ngao Grotto, the most outstanding grotto in the North-East of Vietnam. Then we drive forward Ba be National Park. The roads are very bumpy and zigzagging, but the spectacular mountainous landscapes with undulating terrace rice field and hill villages make our hardship all worthwhile. Upon arrival Ba Be National Park, we will check-in home-stay at Pac Ngoi Village. Overnight in Pac Ngoi Village. Photography Opportunities: Beautiful landscape, Ban Gioc Watefall, Nguom Ngao cave, hill-tribe villages, ethnic minorities groups (H’mong, Dzao, San Chi, Tay, Nung, Dzay and Lo Lo). After breakfast at our home-stay, we will take a boat trip around this famous lake. 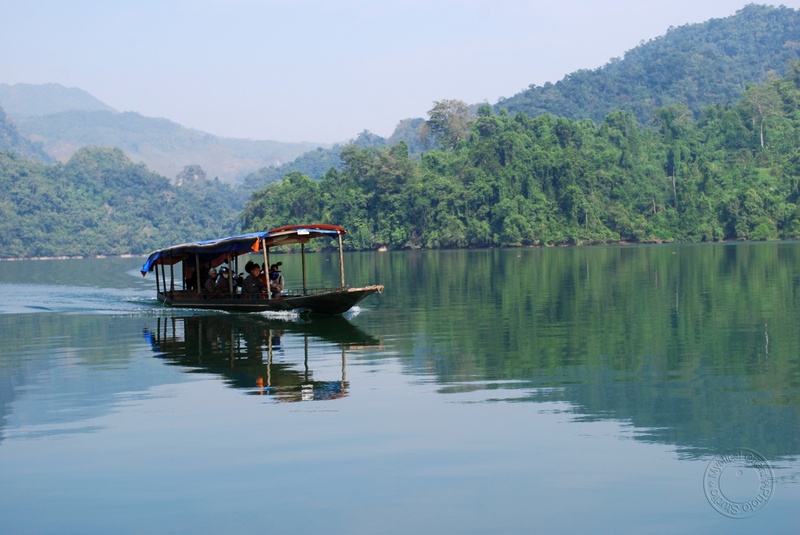 The boat will take us for the peaceful cruise on the biggest lake in the North East of Vietnam with very green vegetation around. We will meet some local people on their traditional sampan go for fishing on the lake or taking a swim on this beautiful environment. After the boat trip, transfer to Pac Ngoi village for the lunch. Take rest for an hour before transfer back to Hanoi. Photography Opportunities: Beautiful landscape, Ba Be Lake, Dark cave, hill-tribe villages, and ethnic minorities groups (San Chi, Tay, Nung and Dzay). Arrive Hanoi in the late afternoon. ***Tour ends. Private Transfers: Transfers between hotels and scenic spots while sightseeing by private air conditioned vehicle with a driver and English-speaking guide (as listed above). Your comfort is our priority!